I read a handful of books in January. It was a good start to the year. I should also have another handful for next month, mostly fantasy and mostly Christmas presents. I still have a backlog of fantasy books from years ago that I hope to get too before too long. This month was odd because I really didn’t like most of the books that I read. All of them fit into genres and styles that I usually enjoy, but a relatively high percentage of them did more to annoy that entertain me. So in the sense of reading books I like it was not that great a start to the year, though it was in terms of the amount of books I read. Another solid adventure in the Isaac Bell series. I really like this series of mystery/thrillers set in the early twentieth century. The main character tends toward the too adept, the too perfect, but the adventures are a lot of fun. This one moves things forward a little, taking place in the early twenties and the Van Dorns, the fictional detective agency for which Isaac Bell works, having to deal with trying to enforce Prohibition, even if many of them don’t really agree with it. 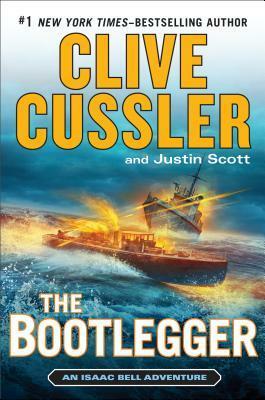 It weaves in with Prohibition with the Bolshevik Revolution and a Russian instigator operating in the United States. It all works together reasonably well, though I am left with my eternal complaint about this series that it doesn’t go quite far enough. The combination of the two threads in this one gets as close as the series has before to actually having something to say, but the agent doesn’t end up being as true to his cause as would be interesting. Still, it is a decently enjoyable romp. I have some very big problems with this book, mostly to do with the editing and formatting. I would call a lot of Atari: Business is Fun’s construction haphazard. Grammatical and spelling errors abound. It actively hampers getting at the genuinely interesting information in this book. Despite the many flaws in the writing of this book, I was genuinely surprised at how well researched it was. It doesn’t attempt to paint any one as a villain or a saint, only people that frequently have differences of opinion. Nolan Bushnell, the main player for most of this book, comes off as half genius and half huckster. He is painted as a man with talent and ambition and a somewhat inflated sense of himself. It paints a picture of a company that simply grew too fast for itself. It played a big part in creating two separate markets, the arcade video game market and the home console market, but was unable to manage at least one side of that. Still there is a lot of insight into the origins not just of Atari the company of also of the many of the games that they made. 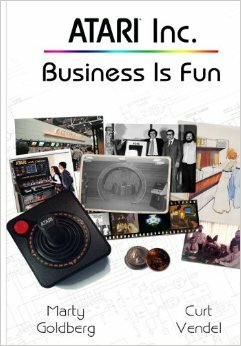 Despite its somewhat lacking editing, I would heartily recommend this to anyone who wants to learn more about the early days of video games. This book came highly recommended to me, but I abandoned it early last year about forty pages in. Hearing about the upcoming TV adaptation gave me the push I needed to get back to it and finish it up. 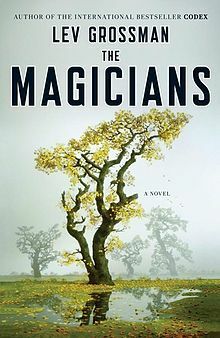 I maybe shouldn’t have, because I kind of hated The Magicians. The Magicians stars Quentin Coldwater, a surly youth given to fits of depression. He is moody and unlikeable. It starts with something of a Harry Potter pastiche with Quentin being accepting into Brakebills magic school. Even there he is moody and unhappy, which I understand is the point, but it compresses everything about the school down so much that it is hard to get the sense of exactly what Quentin is learning or how people other than him are taking things. The only other students to get any real sort of character are his eventual lover Alice and his friend Eliot. The rest are at best rough sketches of characters. After graduating magic school, the books moves on to something of a Narnia pastiche, with the characters discovering and then traveling to the magical land of Filory. That at least builds to a memorable climax before a new character comes in to explain to Quentin, and the reader, what has been going on just before the book ends. My biggest problem is that the book is locked into the point of view of a thoroughly unlikeable character. His depression can make even the most magical of encounters seem terrible. I understand the point of things being the way they are, but it doesn’t actually make the book any more pleasant to read. In the end, it is a book that takes two young adult series and saps all the life out of them in the name of making them adult. The Magicians is abrasively not for me. 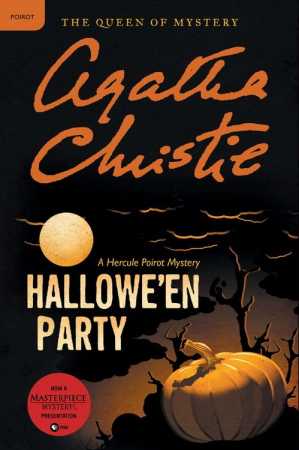 A later Hercule Poirot mystery that is among the meanest Christie I’ve encountered. It doesn’t stray far from the form of her detective novels, but it is the victim, and very nearly victims, that is troubling. The victim in this story is a young girl. A young girl that everyone goes out of their way to speak poorly of after she turns up dead. Ariadne Oliver, Poirot’s mystery writer friend just happened to be in attendance and she tells him about what happened, so he agrees to investigate. The book just kind of meanders after that, never really picking up any momentum. It simply goes through the motions, doing exactly as it should and nothing more. The only really interesting part is that it deals with the death of a child and has someone threaten the death of another. There is a certain baseline of quality that Christie doesn’t drop below, but she has so many legitimately good books that only the completist need to bother with this one. I was a pretty big fan of the first nine novels in this series (I never ended up reading the one previous to this) and this book comes as something of a punch to the gut. Beware; I will be spoiling the opening chapters of this book. At more than ten books in, I am more the ready for this series to be drawn to a close. Maisie’s struggle in the last few books, between maintaining her freedom and her business and agreeing to marry was compelling. She had good reasons to want both things and if she had chosen to remain single it would have been an interesting choice. But she chose the other way, which was all well and good. At least until the start of the book details just how her husband died within a few years of marrying her and she descends into grief. Maisie was always a character prone to wallowing in misery, and this book heaps it on her. The mystery contained within is nowhere near strong enough to overwhelm the complete pointlessness of coming back to this series. 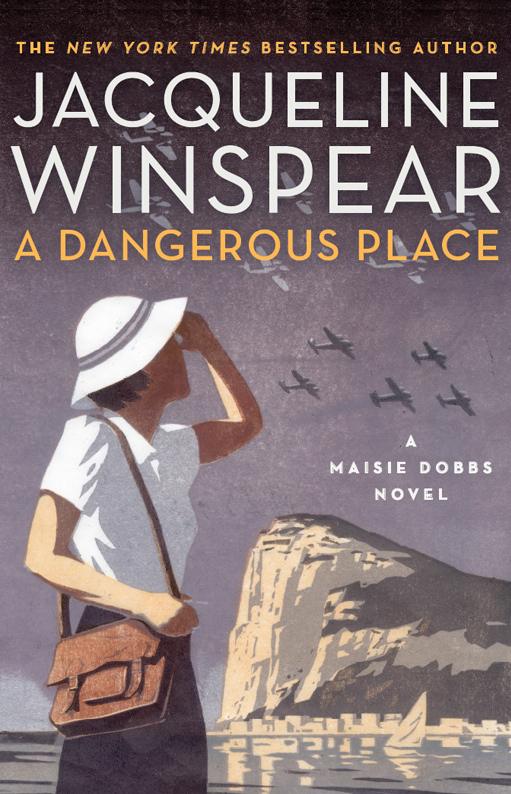 That mystery did hold some promise, with Maisie staying on Gibraltar as WWII draws near and having to deal with the various rising powers of facism and communism and Britain’s desperate attempts to stay neutral, but other than the setting there isn’t a lot to hold onto. After reading this, I really wish I, at least, would have stopped at ten. The mystery is limp and reading about Maisie being miserable is no longer interesting.